Manish Kharinta is a automotive writer based in the Los Angeles area. 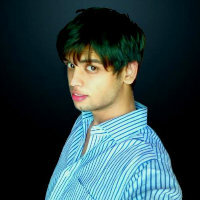 He has worked for automotive industry websites TheSmokingClutch.com, CarDekho.com and CarBikeindia.com. His experience ranges from covering auto shows, to car reviews and breaking automotive news. Manish aims to bring forth his unique perspective on automotive design and technological innovations in the automotive industry. Higher Tariffs Could Lead to Tesla Rival Polestar Not Selling its Cars in the U.S.
Volvo's electric car brand Polestar might not sell its electric cars in North America if it faces higher tariffs due to the U.S.-China trade disputes. Tesla has still not decided on a manufacturing facility to build the upcoming Model Y crossover. Zero Motorcycles unveiled it’s SR/F a motorcycle in New York earlier this week and it might be able to give one iconic brand a run for its money. Audi has released the first glimpse of the Q4 e-tron concept SUV, just ahead of its worldwide reveal at the upcoming 2019 Geneva Motor Show. With constant updates coming in, here is a comprehensive look into what we know about Rivian R1T so far. Audi has confirmed it will reveal a Q3-sized electric crossover vehicle at next month's Geneva Motor Show. German luxury automaker BMW might launch its i7 EV by 2022 as an electrified version of the company's flagship 7-Series sedan. Photos of a touring wagon version of BMW's best selling plug-in hybrid 530e iPerformance have surfaced online and here's what we know about it so far.